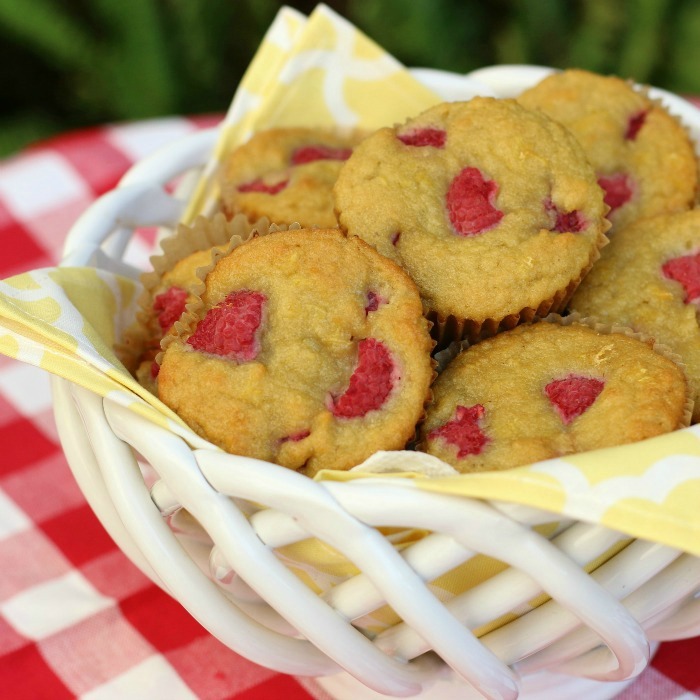 Moist and delicious – these nutritious coconut flour muffins provide a burst of lemon-berry goodness in every bite! Feel free to change out the raspberries and citrus zest used in this recipe with whatever you find in season to create your own unique flavor combinations, such as Blueberry Lemon or Cranberry Orange. Yum! Preheat oven to 350 degrees. Line a 12-cup muffin pan with 8 paper liners. In a small bowl, mix together the coconut flour, baking soda and salt. In a large bowl, whisk together the eggs, yogurt, honey, butter (or coconut oil), vanilla extract, lemon juice and zest. Add the dry ingredients to the wet and whisk well to combine until no lumps remain and batter is thick. Add a spoonful of the muffin batter to each of the lined muffin cups making sure to fill no more than 1/3 of the muffin liner. Using both hands, lift the muffin tin evenly tap the bottom on the counter to evenly distribute the batter in the bottom of the muffin cups. 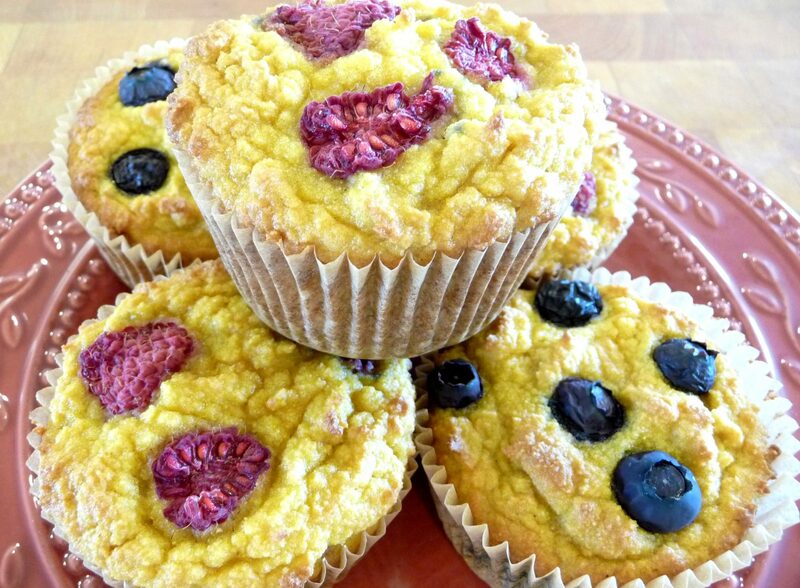 Then, add a small amount of berries to each muffin cup. Next, place another spoonful of batter on top of the berries, making sure to evenly distribute the remaining batter among all the muffin cups. Finally, add a bit more fruit to the top of each muffin. Bake for approximately 20-22 minutes, until top and edges begin to turn a light golden brown. Allow to cool in the pan for 5 minutes, then serve. Enjoy! Time-Saving Tip: Whenever a recipe calls for lemon juice or lemon zest, here’s a real time- and money-saving tip … If the recipe calls for lemon juice, first zest the lemon and place the lemon zest in a freezer-safe container and freeze for future recipes. If a recipe calls for lemon zest, after zesting the lemon, squeeze the lemon to extract the juice and place the lemon juice in a freezer-safe container for future recipes. This eliminates waste and helps to reduce the prep time for future meals. made this this morning…so yummy! didn’t have lemons or raspberries so i improvised! i used dried cherries, orange zest and sprinkled unsweetened coconut on top. they were yummy. so many possibilities!! love your recipes!! I can’t wait to try making these muffins! My toddler is going through a picky stage and not eating much so maybe these will do the trick. They look too good for even him to pass on. I have never baked with coconut flour before so it will be something new to try. Also, I like your suggestion to freeze lemon zest and the juice. I never thought of doing that and end up wasting so much. Love the site! 1. 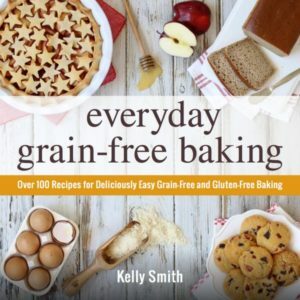 Have you ever frozen the batter for the gluten free recipes to thaw and bake later or frozen the already baked muffins? Do they hold up as well as wheat flour? 2. 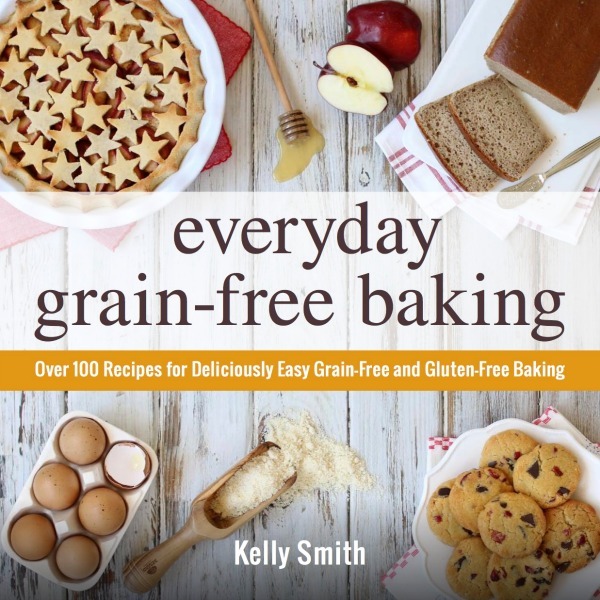 Can the muffin recipes be baked in a small cake pan or a bread loaf pan? I would think it should be fine as long as the cooking time is adjusted? Thanks, Kelly! Yes, Laura over at Heavenly Homemakers has been talking about freezing muffin batter. Some readers commented that they freeze the batter flat in a large ziplock bag, thaw over night, then snip the corner of the bag & squezze batter into muffin cups. Isn’t that a great idea? Laura likes flash freezing the batter in the muffin pans (in paper liners), then once frozen, she removes them from the pan and freezes in plastic bags for future use. That’s great too but seems like more work. 😉 Some people asked if it worked for gluten free batters, but no one had an answer, so I thought I’d check with you. I will give it a try soon and let you know. 🙂 Thanks for the heads up on the loaf pans! I will try that too! How could I revise this recipe to NOT use coconut or any nut flour. I would love to make any of your muffins for breakfast but I have one daycare kid that has a nut allergy. Hi!! Can I use almond flour instead for this recipe? Or are there coconut flours I can get without the coconut taste Thanks! I just recently started the GAPS Program and am so glad I came across this site! Your instructions don’t match the ingredients list. Do you substitute lemon extract for the listed vanilla extract? When do you add the lemon juice?